KoKoLoReS: It’s Skin Fair time! It’s Skin Fair time again! KoKoLoReS has lots on offer for you: the mesh eyeliners come with and without resize script, five colours changeable by hud each. Please try the demos for a general feel of the fit first! 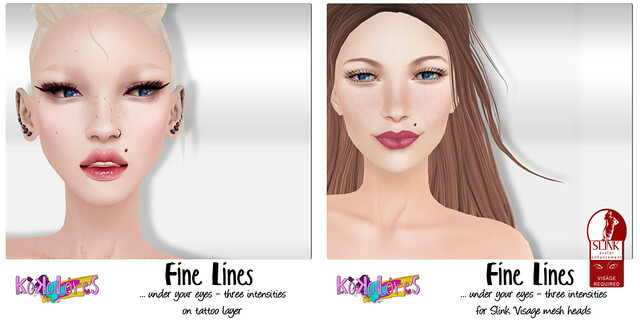 The Fine Lines come as tattoo layer or for your Slink Visage head!